← Cutting the Lock of Hair s3mt in Ancient Egypt. This entry was posted in 03. LOCKS, PLAITS AND RINGLETS and tagged ancient egypt, dead, death, egypt, enemy, evil, funeral, funerary, hair, human sacrifice, lock of hair, meanness, murder, resurrection, sacrifice, tekenu, tknw, victim. Bookmark the permalink. The hair represents the foreskin. Egypt held men as slaves with the upper class being women for over 4000 years. They held onto power by using the Ureaus (circumcision tool). The cult is ISIS (known by many names throughout history) still exists to this day in the hospitals which bear their mark. Since the beginning of time women have mutilated their male children to make sure they maintain control. Literally ten’s of thousands of years they have held onto this ‘rite’. America was founded for about 170 years before we allowed women to vote, and they STILL mutilate us to this day. Thank you feminism. I’m sure that you must know this Rosa, but I can’t see that has been listed as a reference so I’m posting it just in case. 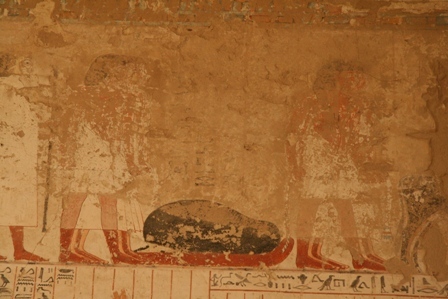 Revisited (Burial of the Black Hairs). Yes Glyn,I knew it. In any case, thank you very much, because it is a good information for the audience. Thanks!!! !